Love, love, love this collar! In effect, it's a good buy. a miracle for dog with flea allergies! First time user with our 3 cats. I am sold it really works. This product really works! No fleas or ticks! 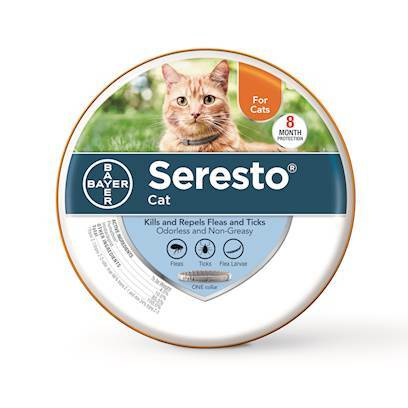 We all are thankful for Seresto! Pulling Ticks off every day!! Will buy again next year! Sadie and owners love it. it worked magic the first time.. not so much the second. Finally something that really works!